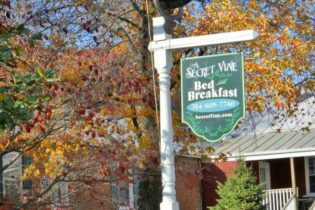 Enjoy comfort, romance, and privacy at the Secret Vine Bed and Breakfast in Hermann, MO. Hermann is located in between St. Louis and Columbia in the heart of Missouri Wine Country. Guests enjoy private entrances, private bathrooms, and private breakfasts. Our elegant garden, waterfall, and fish pond adds to the serenity of our inn. Local attractions include winery tours, charming shops, historic sites, and fine restaurants. Enjoy the relaxing ambience during a stay at the Secret Vine Bed and Breakfast. Our quaint inn is located in Hermann, MO, in the heart of Missouri Wine Country, and many vineyards are within walking distance. Each of our guest suites offers a private enclave perfect for a romantic getaway. Bass and Baskets Bed & Breakfast is a Lake Ozark view b&b with in-room Jacuzzis and fireplaces. Come see why Bass and Baskets Bed & Breakfast is your home on the lake! 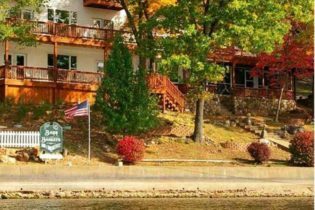 Bass and Baskets, a popular Lake Ozark, Missouri bed & breakfast offers four private guest rooms designed for guest comfort and relaxation. All guest rooms have Jacuzzi tubs – some with room for two! The cozy fireplaces in each room are great to snuggle in front of even on the coldest days! You can even enjoy the TV and VCR from the privacy of your room. All rooms have a spectacular view of the lake from their deck. A delicious breakfast is served each morning in a warm and cozy atmosphere. Come see why Bass and Baskets Bed & Breakfast is your home on the lake! Garth Woodside Mansion Bed & Breakfast Inn is located in the charmed town, often hailed as “America’s Hometown”, Hannibal, Missouri. Here you will be treated as friends while you enjoy romantic surroundings and attention to detail. 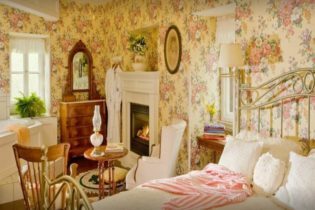 The inn offers large smoke-free guest rooms and suites in the mansion, each elegantly appointed with Victorian antiques, all with a private bath. Each room has a hypo-allergenic feather-bed. We have carefully selected fabrics, materials, and textures to blend with one of the finest 19th century furniture collections in the Midwest. Looking for delightfully different accommodations? Stay and play at the Lake's Most Inviting vacation getaway, at the Inn at Harbour Ridge Bed & Breakfast. We are located in Osage Beach, Missouri and offer specials for any type of occasion. Choose from our 5 unique accommodations, complemented by a delicious breakfast each morning. Local attractions include cruises, art galleries & music performances, hiking trails, and wineries. Welcome to the Inn At Harbour Ridge Bed and Breakfast! We invite guests to enjoy our playfully decorated guestrooms with fireplaces, and private starlit hot tubs. We are currently booking intimate (25 or fewer guests) gazebo weddings – please inquire. 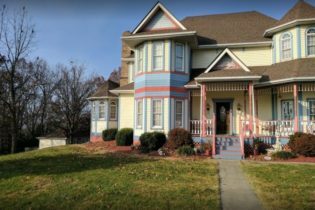 Located in the historic district, the Loganberry B&B Inn is strolling distance to the Brick District with unique antique, art, and specialty shops and live theater, along with the National Winston Churchill Museum, Westminster College and William Woods University. The inn is a grand Victorian built in 1899. 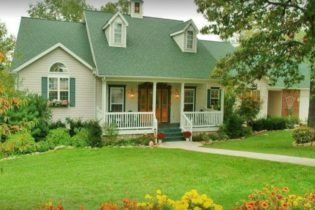 Located in Fulton, MO, the Loganberry Inn Bed & Breakfast is just 5 minutes from I-70 between Kansas City and St. Louis, Missouri. 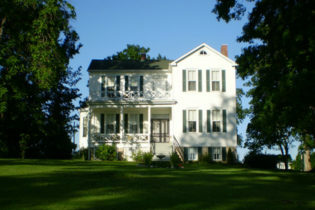 Many of Missouri’s historic towns, like Hermann, Jefferson City and Columbia are all within 35 miles of the bed and breakfast. 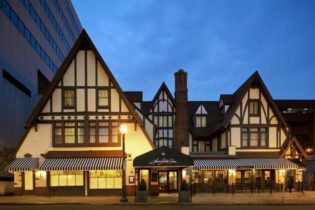 Located in the historic district, the B&B Inn is strolling distance to downtown Fulton, featuring brick streets, unique antique, art, and specialty shops, along with the National Winston Churchill Museum, Westminster College and William Woods University. Many Loganberry visitors prefer to stroll through the charming neighborhoods filled with turn of the century homes or walk to Fulton’s restaurants and tea rooms. Being a nationally recognized, award-winning inn, the B&B is a grand Victorian built in 1899. Many renowned guests including Margaret Thatcher, Scotland Yard detectives, and Polish President and Nobel Peace Prize winner, Lech Walesa, have chosen to stay at The Loganberry Inn Bed and Breakfast. Graciously decorated and comfortably furnished with English and French antiques. 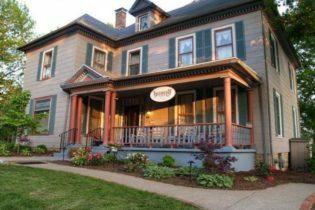 The Loganberry Inn Bed & Breakfast features stained glass, marble fireplaces, Jacuzzi, outdoor spa, Weddings and Romance Packages and amenities for the business traveler. Experience opulence at the Painted Lady Bed & Breakfast. In-room Jacuzzis, luxury amenities, nightly turndowns, and chocolates await you. St. James, Missouri is a quaint, small rural community in the Ozarks with friendly people and an abundance of fun things to do. The Painted Lady Bed and Breakfast Inn is like a Victorian Dollhouse with all the amenities. 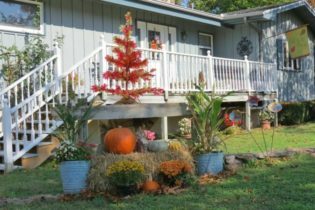 It’s located in St. James, Missouri – a quaint, small rural community in the Ozarks with friendly people and an abundance of fun things to do. In St. James, MO and within a 15 to 20 mile radius, we have rivers to float, horseback riding and Meramec Springs (which has a trout hatchery with fishing and museums, and a beautiful park with picnicking areas, hiking trails, etc). Our city park has a fishing lake, public pool, tennis courts, pavilions for picnics, and more. Our area is home to the Boys and Girls Town of Missouri and the Missouri Veterans Home. The University of Missouri at Rolla is 9 minutes away. The inn is in the middle of Wine Country with numerous vineyards and award winning wineries – two of which are located right here in town. There is an abundance of antique and craft shops in town and nearby, live theater productions and a music theater are close, and the list goes on. We love sharing our home to guests come from all walks of life and we enjoy each and every one. Our goal is for guests to enjoy their stay with us and return home safely, feeling pampered, relaxed, and as if they have stayed with family or friends. Come let us show you a good time in the Ozarks. We’d love to have you! 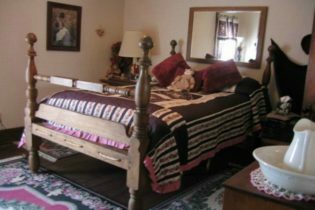 Red Bud Cove Bed and Breakfast is located on beautiful Table Rock Lake, only 15 minutes from downtown Branson, Missouri. This B&B offers luxury suites some with fireplace and spa. 08Red Bud Cove Bed and Breakfast is located on beautiful Table Rock Lake in a scenic waterfront setting just fifteen minutes from downtown Branson, Missouri. It offers an extraordinary opportunity to experience the many Branson area attractions, and enjoy the ambiance and serenity that awaits you at Red Bud Cove. Each private, luxury suite has a separate living room, bedroom with either a king or queen bed, and a large bathroom. Some suites have two-person whirlpool tubs and fireplaces. All have cable TV, DVD player, telephone, wireless internet access, radio/CD player and central air conditioning. Most have a kitchen or kitchenette, as well as lake view deck or patio. Other property amenities include a year round hot tub building, a dock and a boat launch. A full breakfast is served each day. Excellent restaurants are located nearby for lunch and dinner. Welcome to the Cheshire, a St. Louis tradition since the 1920s. 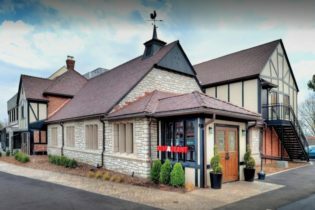 The Cheshire is the best of both worlds - it has all the charm of a traditional British inn, and all the luxury of a modern boutique hotel, thanks to a recent multi-million dollar renovation. We have 4 dining establishments, a wellness center, and a swimming pool & terrace (open May-September) all on-site. The Cheshire is the perfect location for your wedding or social/corporate event. We're kid- and pet-friendly! Guest rooms range from deluxe to Royal with turndown service and upgraded amenities. Indulge in our suite options, from Mini to Novelty – each dedicated to an English author, highlighting their most notable works. The Cheshire is located within close proximity to all the famous attractions of St. Louis – Forest Park, St. Louis Zoo, Busch Stadium, and the iconic Gateway Arch. Welcome to the White Cliff Bed and Breakfast ; A Beautiful & Elegant Ten Acre Estate on the bluffs of the Mississippi River Valley. As always White Cliff Manor belongs to her guests and continues to exude the aura of period elegance and hospitality not found at many Bed and Breakfasts. White Cliff Manor commands a magnificent view of Historic Kaskaskia Island first settled by French Jesuit Missionaries in 1703. 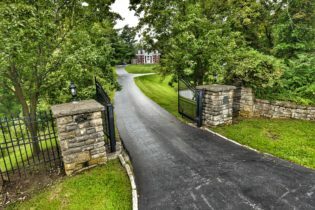 The immense view is reminiscent of Colonial estates along the Patomac and James Rivers similar to the beautiful Tuckahoe, Four Square and Weston Manor.